Santa Cruz Therapist: Chris Lang - Therapist 95062. As a licensed Marriage and Family Therapist I am passionate and committed to joining and supporting clients in their journey of self-exploration and self-knowledge. For over 10 years I have been devoted to working with children, families, individuals, and couples, and teaching my parenting class, “Creating Healthy Relationships with Kids” both in group formats and private sessions. 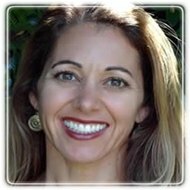 I have years experience of working as a High School and Grade School Counselor, as well as, being a grief support counselor with Hospice of Santa Cruz, a counselor with Suicide Prevention, and a counselor at Family Service Agency of the Central Coast. I received my Master’s Degree from Santa Clara University in 2005 in Counseling Psychology and attended UCSC for my B.A. in Sociology. I am a member of the California Association of Marriage and Family Therapists (CAMFT), as well as, the local association Santa Cruz Chapter CAMFT. In my advanced studies I have extensive training in child play therapy, trauma, depression, anxiety, and am part of the Mindfulness-Based Stressed Reduction program. I have completed Level 1 and Level 2 training in Internal Family Systems theory (IFS) and will be completed with the final Level 3 by December 2014. I provide a gentle and trusting presence with clients, and believe that together we can engage in a meaningful and a positive experience that facilitates change and personal growth.